GEORGE WEST, Texas, February 5, 2019 (LifeSiteNews) ― A mother who refused to abort her unborn son despite being told he had a fatal abnormality prayed for a miracle — and got one. Last summer, Kate Bledsoe McKinney, the mother of three daughters, was told that her unborn son had a cystic hygroma, a malformation of the lymphatic system, and that it was so big he could not survive. “I was encouraged to go ahead and terminate,” McKinney recounted Sunday on her Facebook page. When she began to cry, the doctor left the room and McKinney recalled that she had been advised 10 years before to abort her twin daughters. McKinney told the doctor that she wouldn’t abort her child and stuck to her guns despite his advice. Fortunately, McKinney then met someone with a different philosophy of medical care. When a nurse came in to draw blood from the tear-stained mother, she shyly asked her how her appointment was. When McKinney said it could have gone better, the nurse took a risk. “She gently placed her hand on my arm and looked me in the eyes and said, ‘Just have faith. Nothing is too big for God,’” McKinney recalled. “In a doctor’s office, where it seemed like they were handing out lollipops with abortions, this woman was an angel,” she continued. After weeks of being offered — and refusing — an abortion multiple times at each medical appointment, McKinney prayed for a miracle. The next day, she noticed that the sonogram technician didn’t measure the cystic hygroma as usual, and asked what was going on. The sonogram technician said the doctor would explain. McKinney’s baby boy was born November 4. 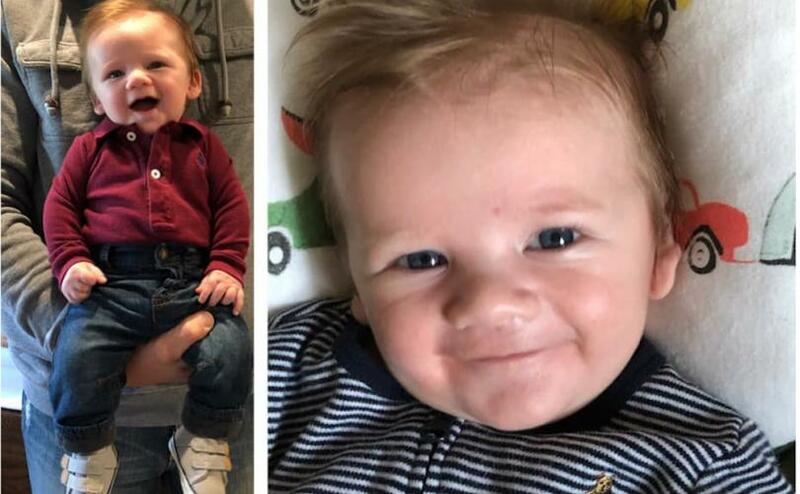 The proud mother describes him as “perfect.” Although the doctors were shocked and ran test after test to find something seriously wrong with him, all they found was a small heart murmur that would resolve itself. McKinney shared her testimony of grief, faith and hope over social media on February 5. She had always meant to share the story but indicated she was doing so now because of the radically pro-abortion, pro-infanticide law that passed in New York state. Reflecting on the reality that she could have aborted her baby up to the day he was born, the happy mother said she could not believe it. “I cannot fathom the idea that I could have changed my mind on November 4th. Just said, ‘To heck with it,’ because I changed my mind about having this baby,” she wrote. “I firmly believe my faith was tested during this pregnancy. God wanted to see if I would do the unthinkable and terminate His plan. He wanted to see if I would believe in Him to heal our baby. Boy, am I glad I did,” she continued. McKinney concluded by saying she made her story public so it could be shared. “I hope it helps someone that may be going through something of their own,” she wrote. Her Facebook post is going viral. This entry was posted on Thursday, February 7th, 2019 at 9:25 am	and is filed under News & Commentary. You can follow any responses to this entry through the RSS 2.0 feed. You can skip to the end and leave a response. Pinging is currently not allowed.